This post is sponsored by Bambino Mio, Finn + Emma and The Ollie World. Parents are constantly on the hunt for the best products for their babies. While there are countless things that a baby needs, diapers, clothes, and blankets are just some of the most important. If you’re looking to try out a few new brands and products, Cupid’s got you covered with some parenting advice! 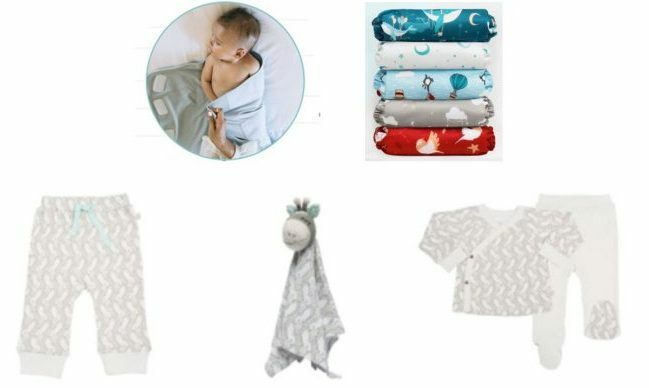 The Ollie Swaddle, Bambino Mio’s Dream Traveler collection, and Finn + Emma’s Giraffe collection are guaranteed to ensure great parenting and a happy baby! The Ollie Swaddle is highly recommended for those that wish to form a secure bond with your baby. Hindi Zeidman, the founder of this product, has even shared advice that entails beginning the process when you are still pregnant. The Ollie Swaddle is the ‘Smart Swaddle’ that is supposed to ensure your baby feels calm, peaceful and comforted. It’s designed to extend a number of sleep babies get, reduce fussiness, and help babies self-calm. The material of the fabric allows for freedom of movement, but also makes it easy to change diapers. Though it is sold out in all colors on their website, it usually retails for $59. New inventory will be back next week! Bambino Mio’s latest collection includes a range of cloth diapers and accessories in a dreamland theme. 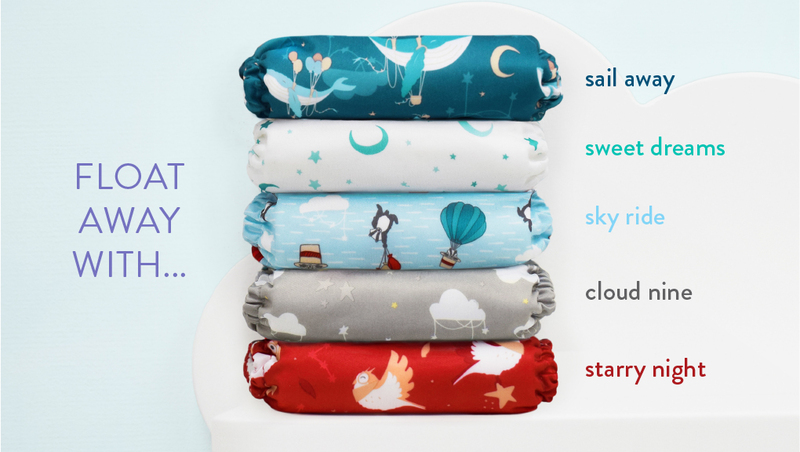 The dream traveler collection has five new prints — sky ride, cloud nine, sweet dreams, starry night and sail away — and are all available in the miosolo all-one diaper, miosoft two-piece diaper cover and wet diaper bags. The miosolo all-in-one diaper is designed to be as easy and disposable as possible, complete with adjustable snaps, velcro style fastenings and an absorbent fabric core. The miosoft two-piece diaper is 100% cotton. It also comes with a lightweight diaper cover, which is water-resistant and features leak protection. Lastly, the wet diaper bags have roll and clip closure and are perfect for transporting wet diapers, clothes and swimwear. The collection has a range of prices depending on which pieces you purchase. Finn + Emma have released a Safari themed collection of clothes and accessories. All clothes are made from 100% organic cotton and use only non-toxic eco-friendly dyes. The Safari collection includes clothes and toys in elephant, giraffe and zebra designs and limits baby’s exposure to harmful chemicals often found in non-organic clothing. Additionally, non-organic fibers contribute to up to 20% of the world’s water pollution problems. Head over to Finn + Emma’s website to shop the collection! Some of the items from the Giraffe collection. Be sure not to miss out on any of these new products!